Selling is a Vintage Omega Constellation Date Auto Chrono. The Constellation has a very nice red gilded automatic movement which you can admire through the glass bottom. Watch is in top condition. 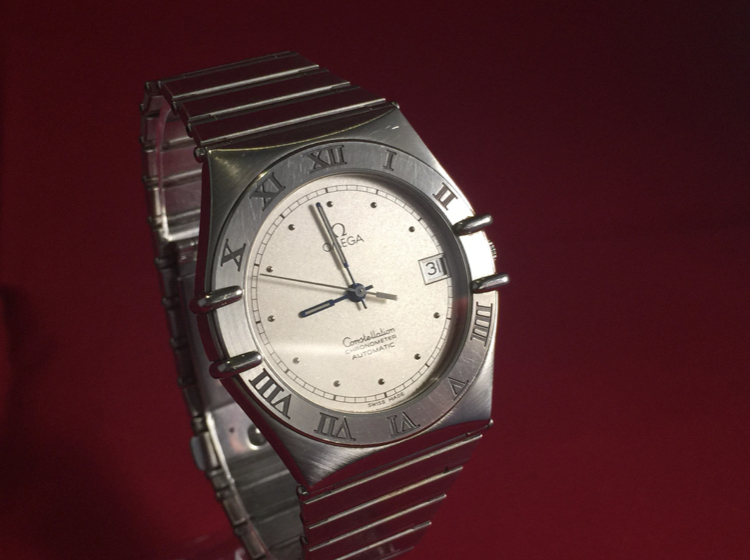 The Original steel bracelet and the Original bezel was traded in the late 1990s. Includes watch only.